Is there any way to comment and uncomment code like visual studio buttons? Or from Edit > Insert Tag > Insert comment. Note: it's not working with the JS/CSS codes. it's only for HTML code. Also, you will not able comment the highlighted code. Not the answer you're looking for? Browse other questions tagged 2013 sharepoint-enterprise sharepoint-designer sharepoint-server 2016 or ask your own question. How to apply new page layout to all existing pages in a site? 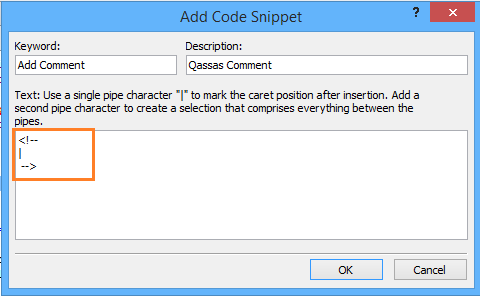 Way to enhance SharePoint Designer 2010's text editor?